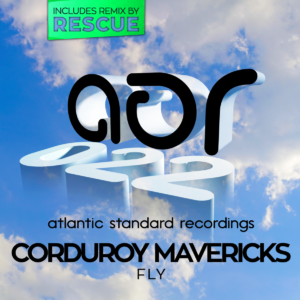 From Miami via Lexington, Corduroy Mavericks bring their signature style of house music for their first single on Atlantic Standard Recordings. Matt & Rick reel up the unusual sounds of Latin ragtime swing and wrap it lovingly in some velvety house beats for a nice combination of shuffle and shake. It’s like dancing to a cuban jazz combo in New Orleans playing house music while the absinthe flows freely. Denver native and jackin’ house progenitor, Rescue, delivers his “Heartbreaker Remix”, bringing his remixing skills to pound out the bass and drive up the tempo to rework “Fly” into a deep house floor-filler. No stranger to the ever-changing house music scene, Rescue has been pushing the envelope in the Mile High City for over ten years both on the decks and in the studio. His signature blend of funky, jacking house beats and intricate mixing abilities have proven a deadly dancefloor combination. This remix, his first for ASR, is so hot, it’s already burning up charts and DJ mixes, and receiving wide support.